The product is used primarily in the Animal Feed Industry and the Fertilzer industry. 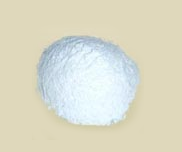 It is also used for the manufacture of specialty chemicals. *Dissolution Test: 10 Grams of our MnSO4 when mixed with 150 ml of Distilled water in a clean beaker dissolves completely in 5 minutes after shaking with no Precipitate in the beaker. The production capacity of MMCPL for Manganese Sulphate Salt is 70 MT/month.